My external HD did crash & I have installed a new one & music is playing fine. 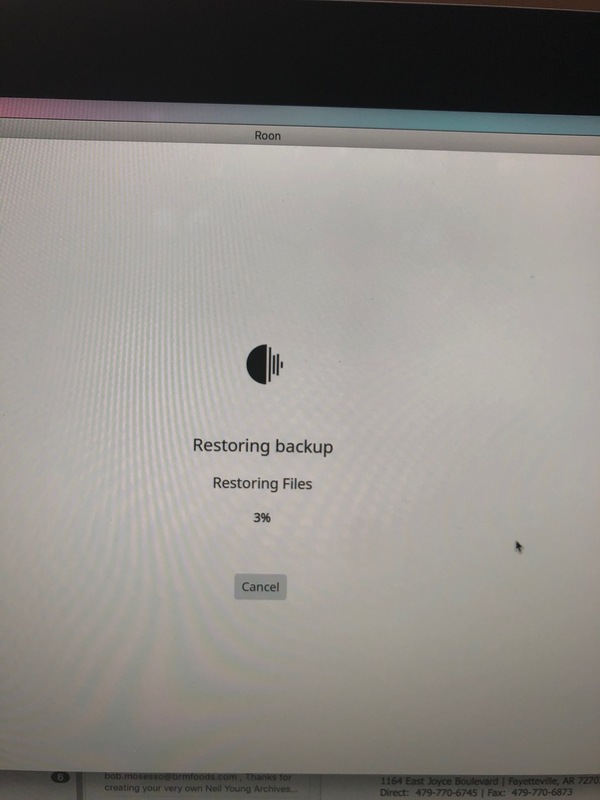 I went to restore my Roon backup so I could have my playlists etc & I will not restore. I did not know if it was a Roon problem or Antipodes problem. or should I store them somewhere else? Also when I click on the restore it counts up to 81% then stops & I get a “Unable to restore messsage. 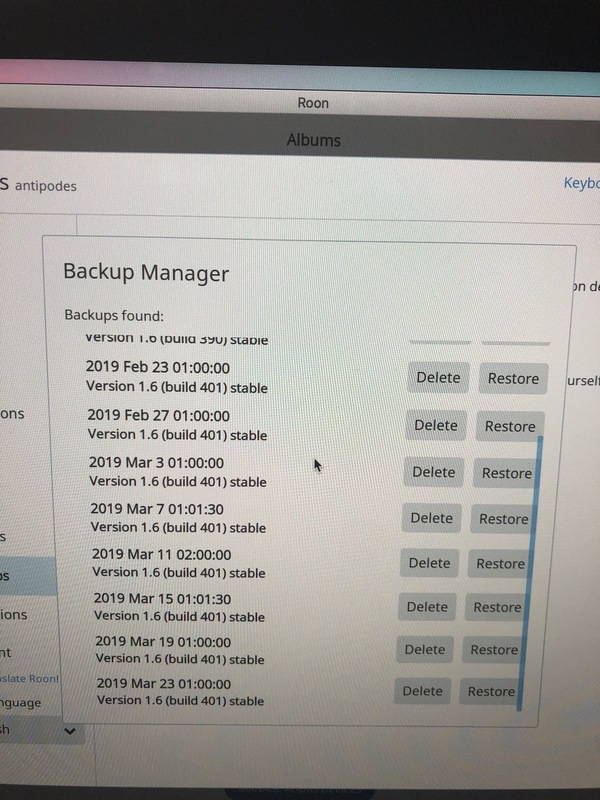 Is the behavior the same for an older backup as well? 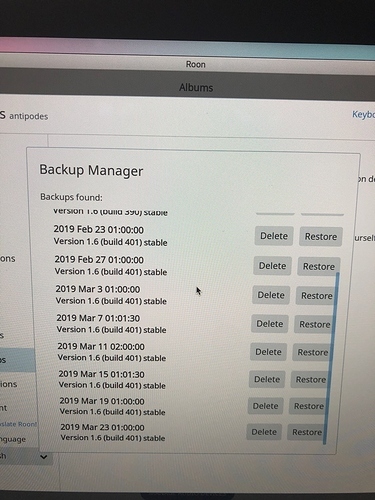 I mean instead of restoring the March 23rd, does the March 19th backup have the same issue? Thanks for trying multiple backups. I would like to get your backup over to QA for analysis, can you please send the most recent backup you have over to us? I will private message you upload instructions shortly. 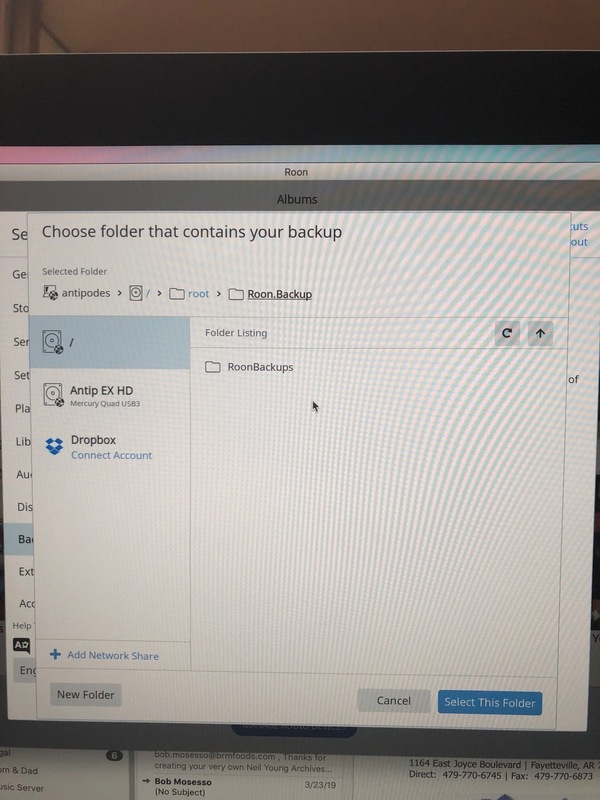 I private messaged you upload instructions earlier today, please let me know the name of the backup archive once you have uploaded to our servers.